WAT WILL U DO WEN U FIND OUT DAT D GIRL U WANT 2 MARRY IS HIV/AIDS POSITIVE. 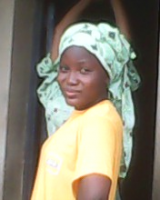 WAT WILL U DO WEN U FIND OUT DAT D GIRL U WANT 2 MARRY IS HIV/AIDS POSITIVE, ND U LUV HER SO MUCH WILL U CONTINUE. U all ar totally out of ur mind. Just bcos of a disease, u'll delete frm ur life d one u wnt to spend ur life wit. Sarah was barren, Abraham neva threw her away. Mary had a son, Joseph neva ran away/owned d child bt he accepted it.Ye Pple of little faith. They neva ran away and neva regreted doin so, rather them nd their decending generations were all blessed. Hebrews 11:6-''And without faith it is impossible to please God,...''. Join ur faith wit d womans' nd d permanent disease wil bcom a temporary past. Besides HIV/AIDS is notin compared to Sarah's barrenness. HIV/AIDS is in existence in her makes it to be easily cured by God. Remember dat Sarah's womb was damaged nd "By faith Abraham even though...Sarah was barren...became a father"Heb 11:11. A Miracle. What will u do if it u? I'll do as said.U mst understnd dat ''true luv neva die''. U were 2 marry her cos ur luv 4 her was a passionate1, y d sudden turpitude turn-about? i've no choice dan 2 leave her!!! I am going to tell the girl dat the relationship cannot be possible again. u have to live her but have friendship wit he or she. Me o. I will leave her. Marvisdby do u know mare mouth cannot do this? And even ones determination cannot do it to. I beg who won die b4 his time? See let me tell you as for me o if am a guy i will never marry her unless am been directed by GOD to do so and i wil just do it because i knw am save wit God. Well my advice to u Marvisdby is dat you should never try it all in the name of love unless God told u to do so pls. And dat is why we have to marry Gods will for our lives so as not to regret later in life. Maritally. i will leave her but i will still make her my friend. If It Were U D Guy Who Is HIV/AIDS POSITIVE WAT WILL U DO? Mehn dis is a serious case dat needs serious thinking and prayer. Well i cant say what i will do because it did not happen to me and it can not happen to me because i dont pray 4 such nd its nt Gods plan 4 my life. Can You Re-Marry Your Divorced Spouse? Where Can We Find Gold in Nigeria?